Compensation report for 2016 complete! 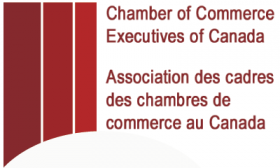 The Chamber of Commerce Executives of Canada (CCEC ) is pleased to offer its Compensation Survey and Report. This is the most comprehensive source of information on compensation developed specifically for the chamber industry in Canada. The 150 page e-report contains 2016 salary and benefits data for 18 different positions at chambers of commerce, from the top paid staff professional to the receptionist, based on responses from almost 80 Chambers across Canada. Compare your compensation package with other chamber professionals! Please click on order form below and order yours today - $250 for CCEC members and $500 for non-members. If you are not currently a CCEC member, consider joining now so that you can access the preferred pricing for members on this valuable report.